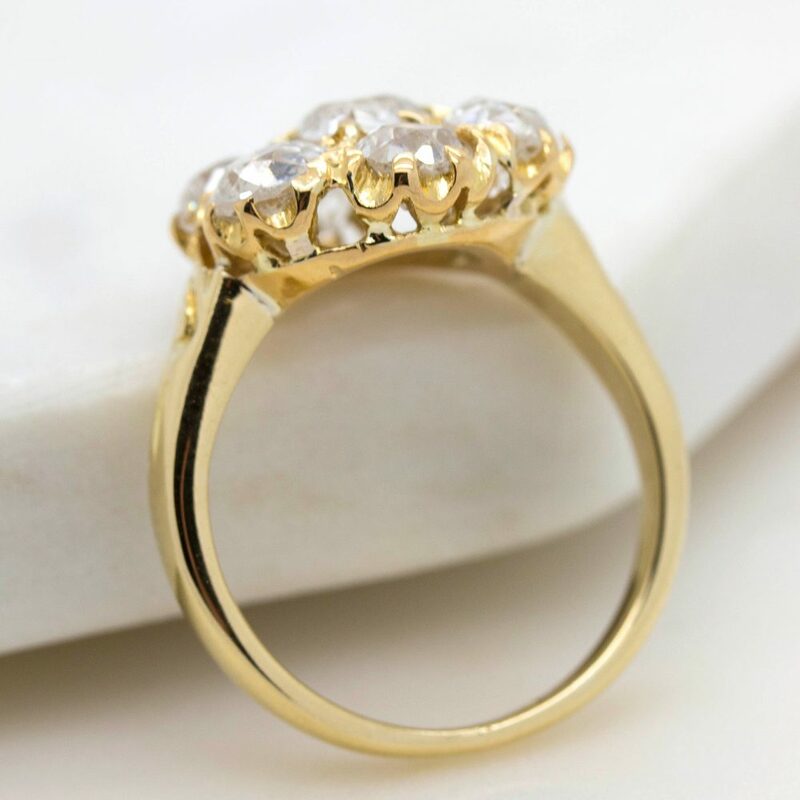 The beauty of custom isn’t necessarily about creating a design no one has ever seen before – sometimes the most beautiful rings are inspired by existing designs with tweaks that suit your style. 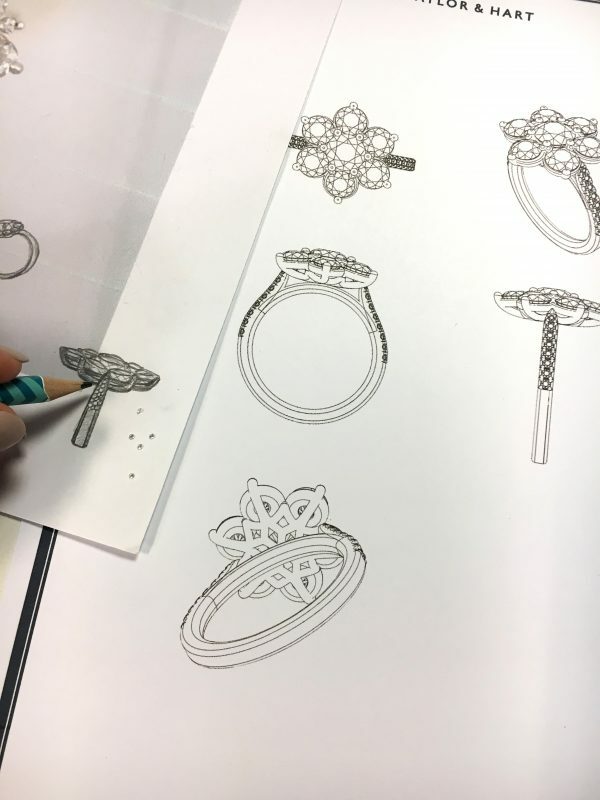 Our customer had an initial meeting with Kate, one of our design consultants, to discuss engagement ring ideas and learned that we offer a bespoke design service. He had inherited a family heirloom that he thought might be perfect for his girlfriend but knew that the style needed updating to match her style. 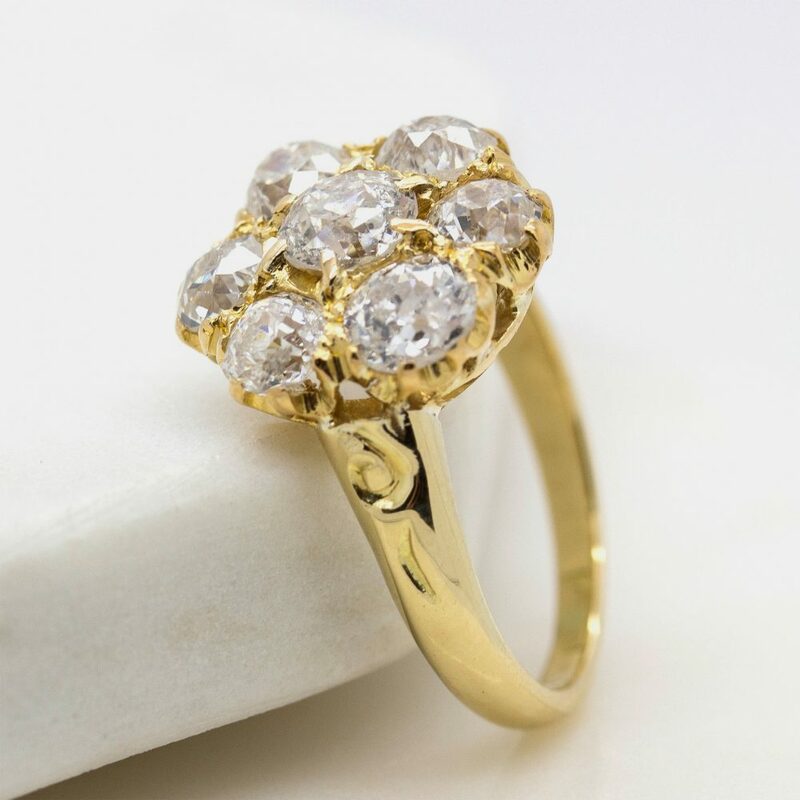 The antique ring has a wonderful presence with its seven Old European cut diamonds in an opulent cluster design set in yellow gold. He knew that he wanted his girlfriend to be involved in the design process, but wanted to propose with the heirloom as it was. 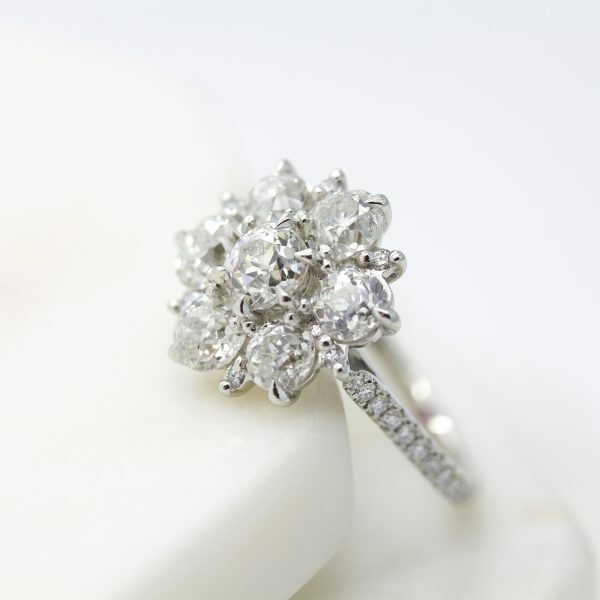 We restored the ring to its original beauty with a clean and polish for the proposal. 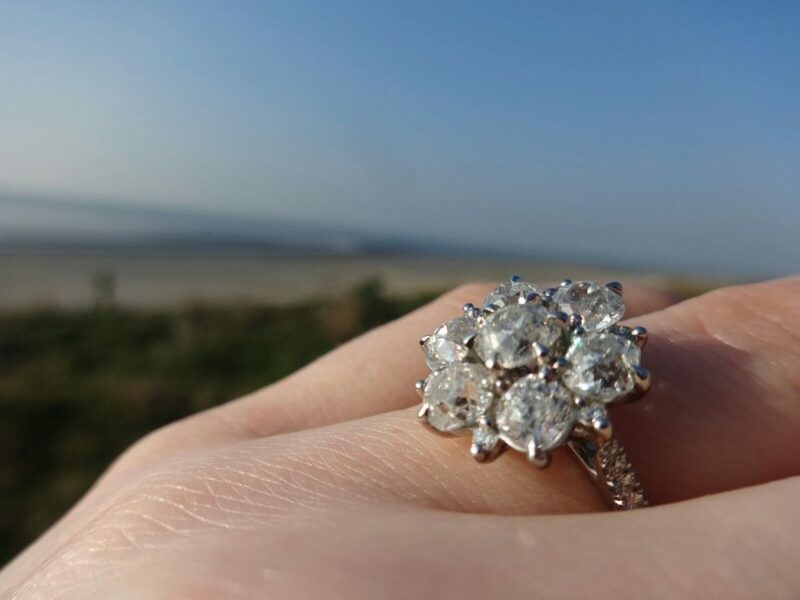 When the momentous day arrived, she said yes! He and his new fiancée came in for a custom engagement ring design consultation where they discussed some ideas with Kate. Based on their ideas, Kate presented them with three design options to consider. These ranged from using, one, some, or all of the original diamonds from a bypass setting to a smaller cluster style. 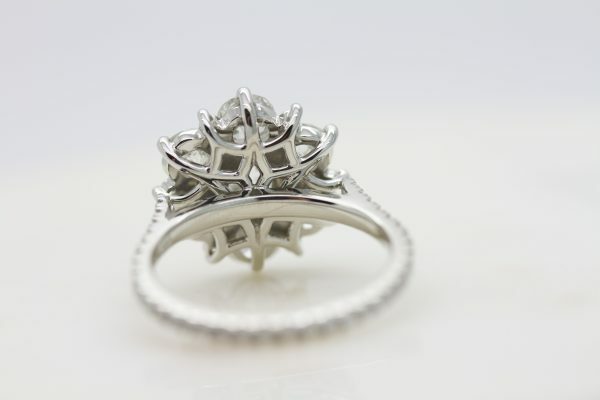 Ultimately, the couple really wanted to honour the original design while still putting their own stamp and style on the ring. In the end, they decided to keep all of the original diamonds and even added more! 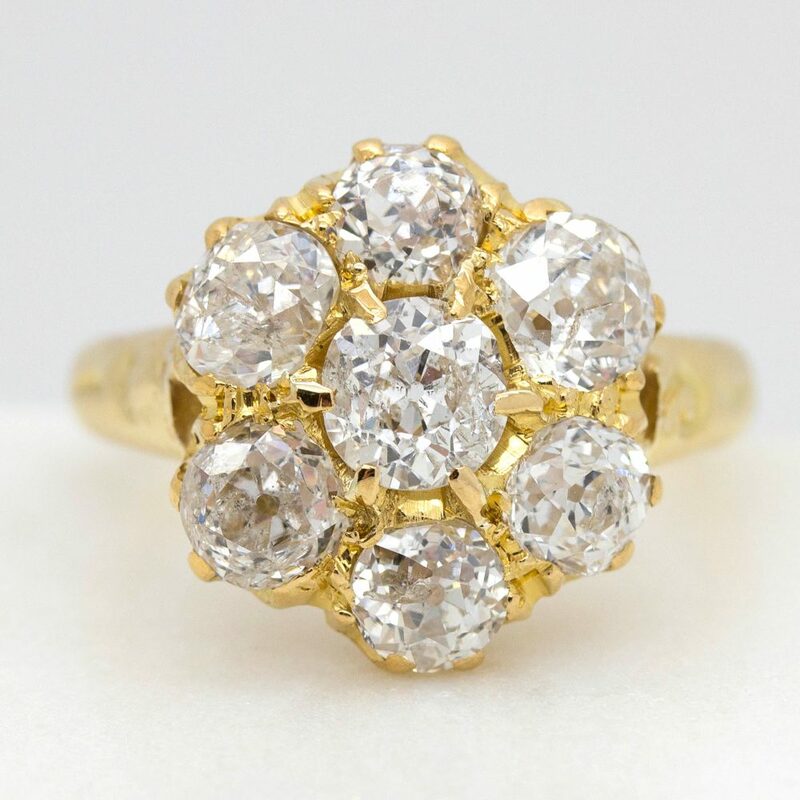 These additional diamonds were round brilliant diamonds in-between the larger Old European diamonds and smaller diamonds delicately set in a pavé band. 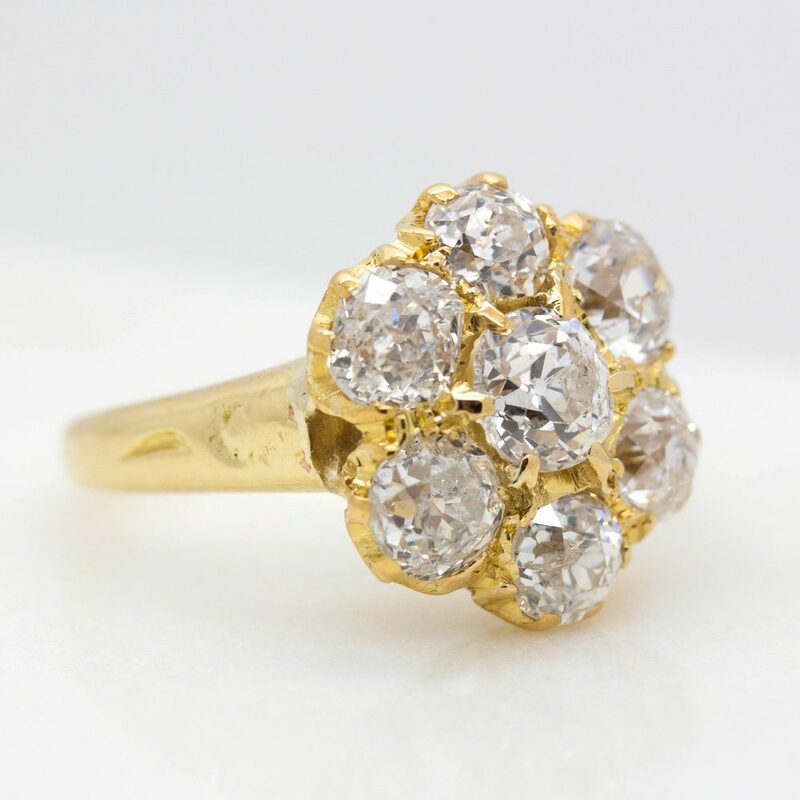 The design featured eagle claws to further highlight the Old European cut diamonds while the smaller round diamonds were set with traditional round claws. Finally, they wanted to somehow incorporate a snowflake pattern into the design and gave Kate creative license to execute this. Kate created a design that not only honoured the original ring, but featured an entirely custom snowflake-inspired basket. Perhaps the most obvious change to the original design, was the change from yellow gold to platinum as it coordinated with her existing jewellery and style. 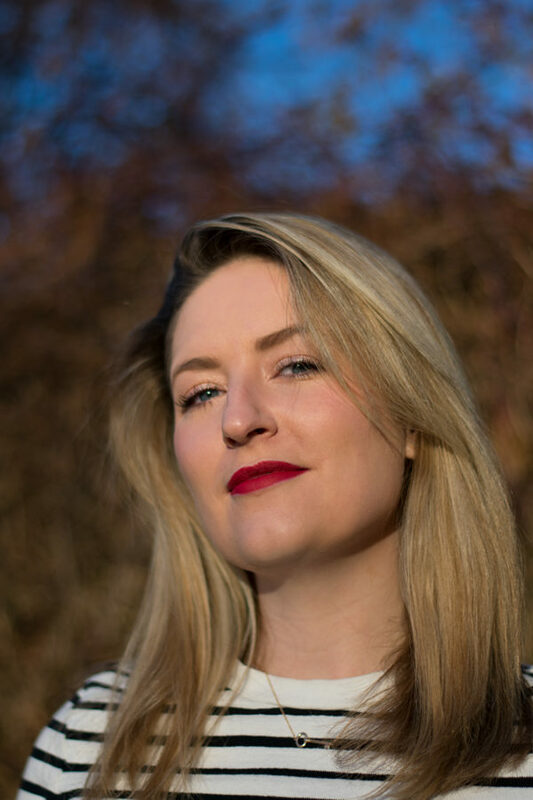 The fact that the couple experienced the bespoke process together meant that they were able to perfect their design – something we’re seeing more often amongst our customers. 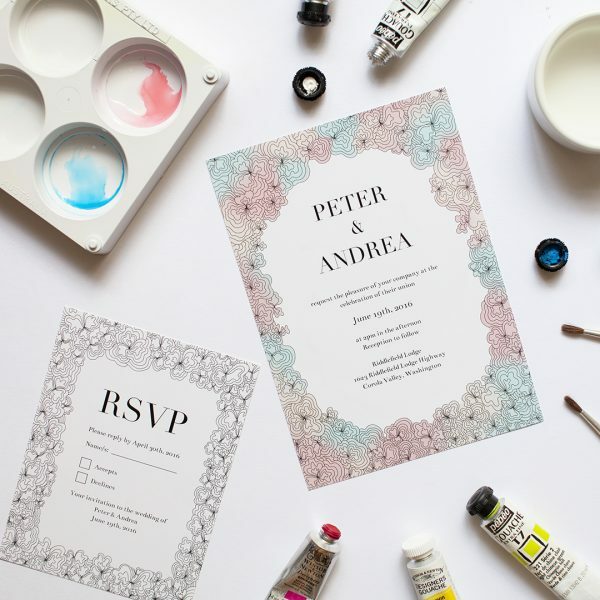 Their story actually inspired us to introduce consultation invites which we now offer to customers who want to experience the design process together – crafting their very own family heirloom, ready to be treasured for a lifetime.